Our very own Eileen (far left) and Eloise (far right) shared with us the career of our late member, dear friend and their father, Adam Krainak. 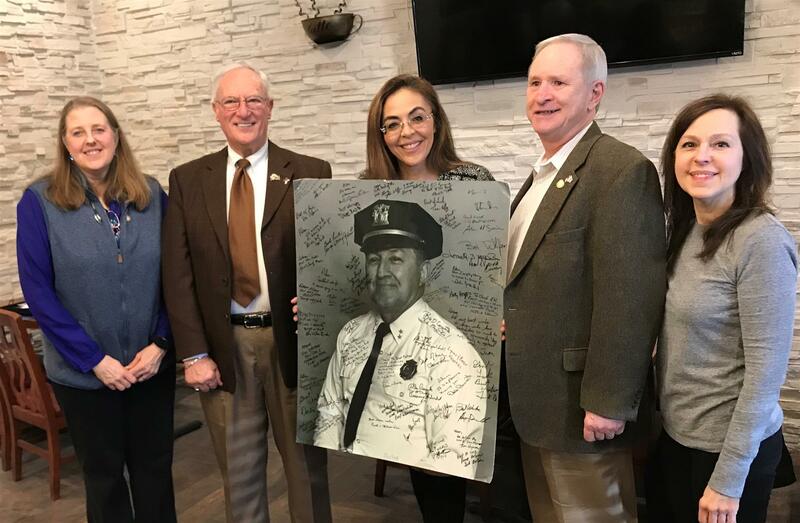 Two Rotarians and retired Police Chiefs Frank Bailey (left - Ramapo Valley Rotary) and Bill Stone (West Point-Highland Falls Rotary) joined us to honor their fellow Rotarian and colleague. Major Terry Shaffer, who provides us with our weekly invocation, had most of us fighting tears with his best "prayer" to date!